The first study to suggest that major depressive disorder (MDD) is an independent risk factor for heart failure in HIV-positive adults has been published in Circulation. These results reinforce the importance of identifying and managing depression among HIV-positive patients, the study authors write. Antiretroviral therapy (ART) has transformed HIV into a manageable, chronic disease, albeit one with numerous co-morbidities. For example, the risk for cardiovascular disease and heart failure is higher for HIV-positive adults compared to those without HIV. 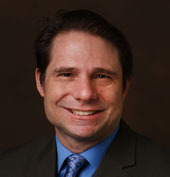 Matthew Freiberg, M.D., associate professor of Cardiovascular Medicine at Vanderbilt, and colleagues at the University of Pittsburgh, used the Veterans Aging Cohort Study to assess the association between HIV, depression and the incidence of heart failure. More than 80,000 participants were categorized into four groups: HIV-negative without MDD; HIV-negative with MDD; HIV-positive without MDD and HIV-positive with MDD. ICD-9 codes from medical records were used to determine MDD and heart failure. In the observational study, researchers followed the participants for 5.8 years and found that heart failure rates were highest among HIV-positive participants with MDD. “As we understand how heart failure occurs, we know the building blocks: atherosclerosis, hypertension, but depression might be something people don’t think of as being a risk factor,” Freiberg said. According to Freiberg, the Veterans Affairs (VA), a national health care system, has the largest number of HIV-infected people in its care than any health care system in the country. As such, it provides a wealth of information on HIV in the United States. Because annual screening for depression is routinely administered to VA patients, it offers a unique place to study its effect on heart failure. The study results suggest that MDD is a possible independent risk factor for heart failure among HIV-positive patients, reinforcing the importance of screening for and effectively managing depression among this patient population, the authors conclude.